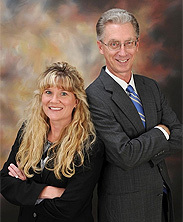 Click here for a chart explaining how family law cases are handled in Galveston County. Click here for a chart of the Galveston County Justice Center showing which floor the courts are on. Map to Galveston County Justice Center. Jurisdiction. Four courts have jurisdiction to hear family law cases in Galveston County: 50% of family cases are assigned to the 306th Family District Court (Judge Darring) and the other 50% are divided equally between the three County Courts at Law: County Court No. 1 (Judge Grady), County Court No. 2 (Judge Roberts) and County Court No. 3 (Judge Ewing). Associate Judge. All four family courts share one full-time Family Associate Judge, Stephen Baker, who has his own courtroom on the 3rd floor. Judge Baker hears virtually all hearings on temporary orders, protective orders, enforcements, discovery motions and most ancillary matters. Judge Baker hears cases Monday through Thursday and on Friday mornings and he has dockets each day at 9:00 a.m. and 1:30 p.m. Typically, up to five hearings are assigned to each docket and all will be heard that morning or afternoon (often with strict time limits). Attorneys request hearings through the Court Coordinators and communicate with Judge Baker through the court to which the case is assigned. Judge Baker does not have a court reporter so attorneys must arrange for their own reporter (especially in enforcement actions). Judge Baker’s rulings are usually written by him on 3-part carbonless forms although he will sign proposed orders drafted by counsel. File Everything With the District Clerk. It is somewhat confusing, but all pleadings filed in family cases in the County Courts at Law are filed with the District Clerk, along with pleadings from the 306th Family District Court. The Family and Child Support Divisions of the District Clerk are on the fourth floor of the Galveston County Justice Center. Unlike Harris County, there are not clerks in the individual courts. League City Annex: Child support printouts and certified copies picked up at the District Clerks Office in the North County Annex just off I.H. 45 in League City at 174 Calder Road, League City 77573. Telephone: (281) 316-8727.